Why are cockapoo puppies so popular? 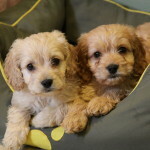 Cockapoo puppies are becoming a very popular family pet, for many reasons including how good they are with most different situations. They are good with older people, younger, children, and other pets. Cockapoos are good in apartments (when given good exercise), homes or even on large properties. Because they are most often lower shedding and ok for most people with allergies (not all, don’t be fooled), they do well in many homes for people with allergies or who just don’t want to clean up all the shedding hair. 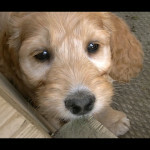 There are many reasons why cockapoo puppies are so popular, you just have to meet one to fall in love with the breed! 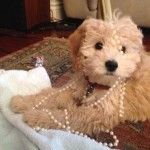 What makes cockapoo puppies such a great pet? Cockapoo puppies are great pets, in part due to their great personalities, their high intelligence, their eagerness to please, and their easy-going nature. They are great for a fun play time at the park or snuggling up on the couch (or on your feet if you prefer). Are cockapoo puppies non-shedding? 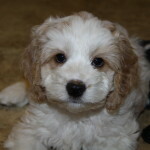 Are cockapoo puppies hypo-allergenic? Many cockapoo puppies are bred from purebred parents, one being a pure cocker spaniel and the other being a pure poodle. This makes them a first generation cross, or half/half. Our puppies are always a first generation cross, and we have high success with lower shedding puppies, as well as low dander loss. There are always exceptions, even within a litter, so if allergies or hair loss are a concern, please discuss prior to taking a puppy home! Sometimes cockapoos are a second generation cross, being from one cockapoo parent and the other being either a poodle or cocker spaniel. If the second parent in this case is a poodle, then being 3/4 poodle and 1/4 cocker spaniel, they have a higher chance of being lower shedding and carrying more of the characteristics that would lead to less dander loss and being better for those allergy sufferers. If they are 3/4 cocker spaniel, there is also a good chance they may have more hair loss. Also we have found over the years that if an English cocker spaniel is used, they have a much higher chance of hair loss, even significant hair loss, than if they are crossed with the American cocker spaniel. 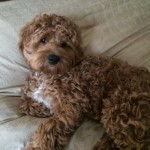 Most cockapoo puppies that have a wavy to curly coat do tend to be good for people with allergies and have a lower dander loss and hair loss. 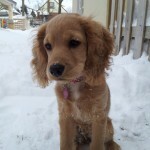 The more a cockapoo puppy looks like a cocker spaniel, the more likely it will take after those genetics and may have a higher hair and dander loss. Please do not be fooled by anyone who will tell you that all cockapoo puppies are “guaranteed” hypo-allergenic and non-shedding. This is merely a sales ploy and a simple, “Thank you for your time,” will do. How big do cockapoo puppies get? Cockapoo puppies can mature in a large range of sizes, depending on how big their parents were. Because this is a cross breed, there are no guarantees for full grown cockapoos when it comes to size. A cockapoo can have as small as a little 3 or 4lb toy poodle (toy refers to height at shoulders, not the weight) all the way up to a giant standard poodle! And that’s just the poodle! Cocker spaniels can be usually as small as 20lbs for the American ones, to a larger healthy 35lbs from the English ones. 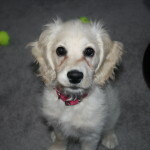 So depending on which size of cocker spaniel is bred will also vary the size of the resulting cockapoo puppy. If a cockapoo and a poodle (or cocker spaniel) are bred together, we come up with an even greater window for sizes. Your best cue? How big are the parents, and typically the puppy tends to fall somewhere in that range. Don’t forget, a puppy can mature larger or smaller than one of the parents, due to recessive genetics, but it is likely to happen to one in the litter, or a small percent, not the whole litter generally. With any cross breeds, seeing the parents will not show you what your puppy will look like, but it may help with what overall size to expect. Are cockapoo puppies good with kids? Are cockapoo puppies good with other pets? 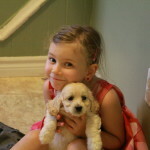 Cockapoo puppies have had much success around children, and in fact are likely the #1 breed vets are recommending. We have heard countless times over the years how people decided to look for a cockapoo because of their vet recommendation. 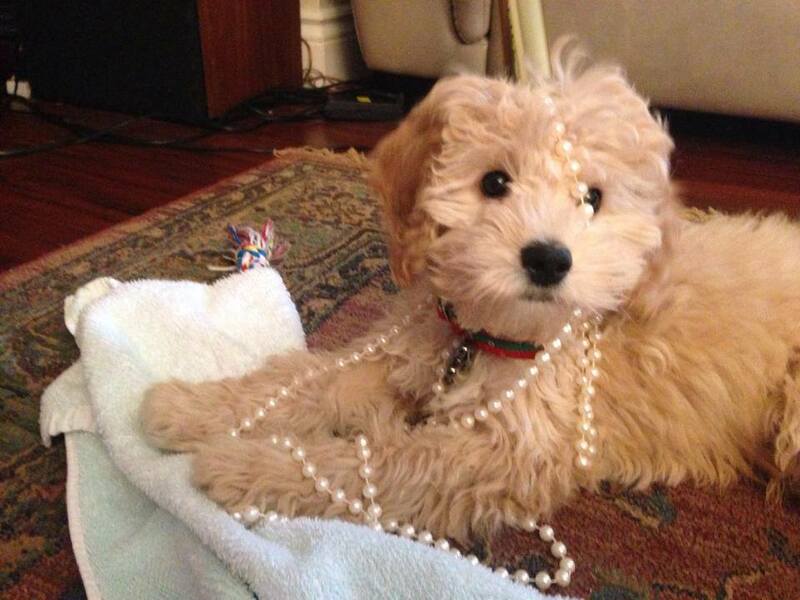 Others have seen amazing cockapoo puppies out for walks with their owners (even by kids), or playing at a park with the kids, or out and about shopping the pet store, and have decided to stop and ask what breed this beautiful and amazing dog is! 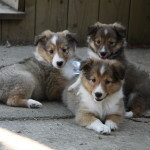 They are known for their gorgeous looks, smarts, eagerness to please, playful and cuddly personalities, and so much more! Making a wonderful addition to almost any loving home. Even children old enough are helping to train their cockapoos at pet obedience classes, taking on training at home and more. Cockapoos are extremely willing to learn, and with loving kids to help them along, they do great! When bringing home a puppy for the first time, any existing pet may act strangely at first, wondering what it is you have brought home now. They may either run away, they may try to check out what is this new addition doing in my home, they might even act out in hopes you will get rid of whatever it is you brought in, OR, they may fall in love with this new playful addition, thinking about how much fun they have with this new buddy! The reaction you get from existing pets usually has more to do with the personality of the existing pet, as well as the way you introduce the new family members. Just because they may not be best friends at first meeting does not mean they won’t get along and become best of friends! Cockapoos have such an easy going nature, that if the existing pet is willing, they are quite happy to have a new friend around at all times. Are cockapoo puppies smart? Do they train quickly? Cockapoo puppies are in fact known for their intelligence and how quickly they train. We often have people telling us they have very little to no accidents when using our methods to train their cockapoo puppy. We encourage people to train effectively, making the procedure quick. 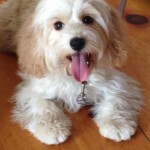 With the high intelligence of the cockapoo puppy and using effective training methods, your cockapoo puppy will be quickly trained! Should you pee pad train a cockapoo puppy? 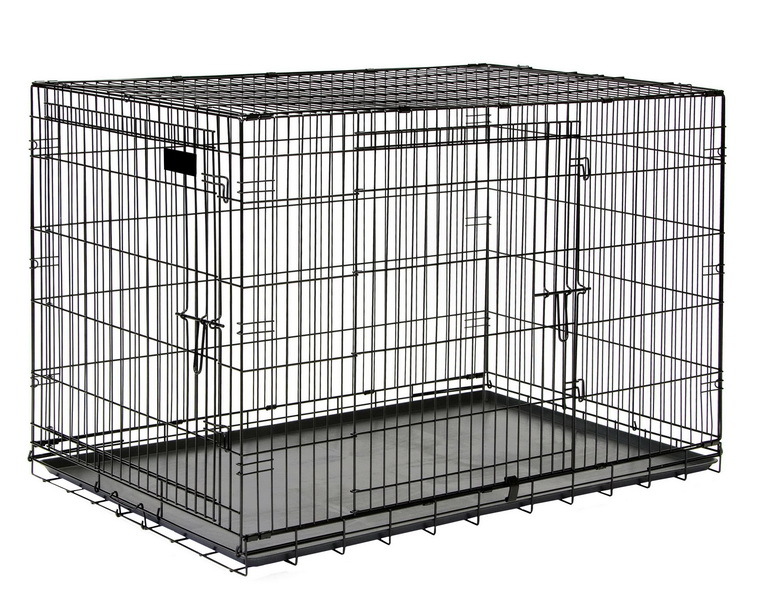 Are cockapoo puppies crate trained? At Curious Puppies we do not pee pad train any of our puppies, nor do we recommend pee pad training once the puppies leave our home. The only exception to this is possibly when living in a condo or apartment and the early stages for potty training are harder. Even so, once the puppy is a little older and able to hold it longer, we would recommend getting rid of the pee pads and continue the training outdoors. Do expect the training process to be longer however if this is the method you use. There have been people who successfully even litter train small dogs, but this is not something that we train. Puppies in our home are not crate trained either as crate training involved a single puppy in a single crate, that is small enough for them to stand up, lay down, and turn around comfortably. It wouldn’t make sense therefore to crate train a litter, since they would all be in separate crates, crying and wondering why they can’t cuddle up to their siblings. 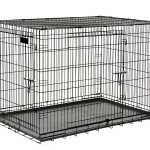 Crate training is highly recommended by us for use in the puppies’ new home, and we like to educate our families on how to properly crate train your puppy when you are here, demonstrating proper techniques, as well as giving lots of valuable tips and advice to make training even faster. 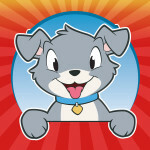 Please visit our puppy dog training videos for course training. Do cockapoo puppies have a docked tail? 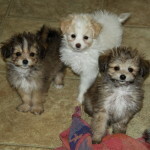 Cockapoo puppies may come with a docked tail, due to the fact that the purebred Cocker Spaniel as well as the purebred poodle both have docked tails standard to their breeds. Some choose not to dock the tail and this is becoming more the norm. If used, the docking of a puppy tail is done between 2-4 days old before the nerve ending has grown into the tail. Because cockapoo puppies tend to be such loving and happy dogs, even a docked tail will always be seen happily wagging away! Do cockapoo puppies have dew claws removed? Some people ask if the puppies have dew claws removed because they have heard others ask this question. First, what are dew claws anyway? Dew claws are the fifth “finger” on the puppy paws, like a thumb. It is usually set higher up and is not generally used. Occasionally it can get caught on something, however most dogs will not ever need or even realize it is there. Many breeders will remove the dew claw at the same time as the puppy is getting the tail docked, before it will cause any pain or discomfort. If the dew claw is not removed shortly after birth, it is not recommended to remove it later as it will be like cutting off a finger. Often though the breeder will choose not to remove it, and it is fine as it is. Are cockapoos a purebred or a mutt? The term mutt is often used to refer to anything that is not a purebred, however in this day and age, that name no longer applies. Purebreds are still purebreds, they are a continued pure breed of both their parents, most often registered with many generations to prove this. The term mutt now however is mostly used to refer to multiple dogs in the mix, often unknown parentage of accidental births, or a combination of dogs that would not have been put together if the breeding had been planned. If a breeder is carefully planning a litter, he will only breed dogs together who will complement each other through size, hair type, personality, health, all things working together to make a better dog. These are generally referred to as a hybrid of intentional breeding. Bringing breeds together for the good of the forthcoming mix. 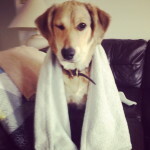 Mutts on the other hand are like a soup where a little bit of anything goes…They are often the healthiest of all though, and some of the funniest, smartest, and some really good looking dogs! In the end, a cockapoo would be referred to as a hybrid, but being such incredibly beautiful dogs, it really doesn’t matter what you call them!